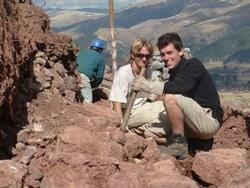 A Projects Abroad volunteer works on the archaeology project in Peru. Our Cultural Projects allow you to become an integrated part of the local community in a way you just can’t do on a normal holiday. You will be working alongside local communities on a wide range of different programmes. Travel with heart and explore the world while helping others. You could be working alongside local artisans in a craft centre in Mexico or finding out about traditional Cambodian culture on a Khmer project in Cambodia. 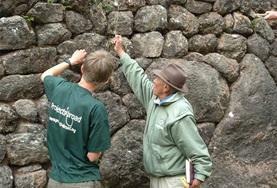 You could be living in a nomad community in Mongolia or helping local archaeologists on our Inca Project in Peru. It is a great way to learn about the very different countries and cultures that Projects Abroad works in. 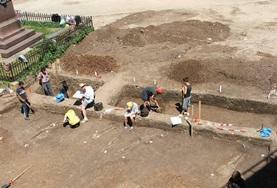 Your group will be working in local communities alongside experts in their field. Go to Peru and work with local archaeologists to uncover Inca remains with our Inca Project or live with a traditional Maroon community in Jamaica. For something totally different you could learn traditional Khmer cookery skills to put alongside your puppet making skills in Cambodia. You will come back with some very different skills to put on your UCAS form or CV. It is easy to combine one of our Cultural Projects with one of our other programmes. This could mean helping out in a local care centre near the Khmer project that you are working on in Cambodia or helping to repaint the local school in Huyro after a morning working on the Inca project in Peru. You could combine a week with your group volunteering on the Shark Conservation Project in Fiji before joining the Community Village project just outside of Nadi. There are endless combinations of projects that you could fit onto your itinerary. We will organise a day to day itinerary to tie in with your group’s plans. If you want to combine projects get in touch and find out what is practical for your group to do. You can call us on 01903 708316 or email us at groups@projects-abroad.co.uk and we can put together a provisional itinerary for you. Projects Abroad have Cultural Projects available in Argentina, Bolivia, Cambodia, Ethiopia, Fiji, Ghana, Jamaica, Mongolia, Morocco, Peru, Romania and Senegal.